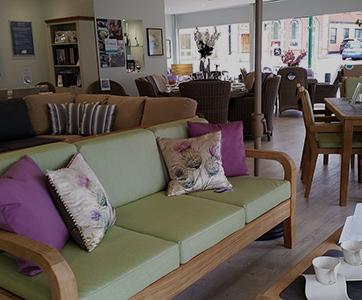 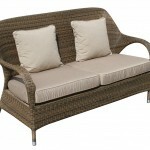 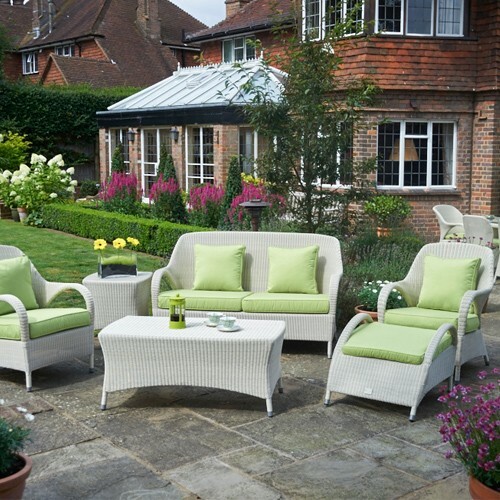 This beautiful Sussex sofa set will take pride of place on a patio or deck and will certainly be enjoyed by all. 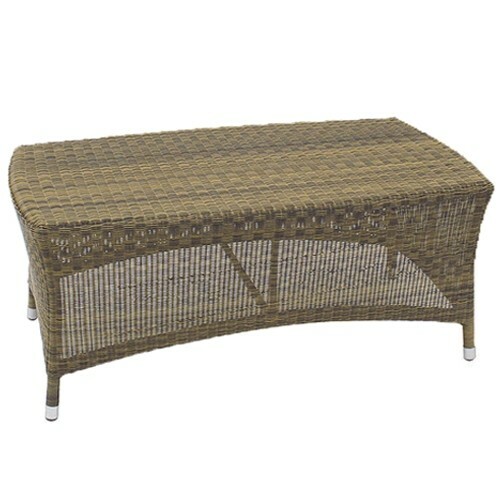 This furniture looks great when not in use and feels great when it is, thanks to the impeccable quality of the weave and the sleek and stylish design. 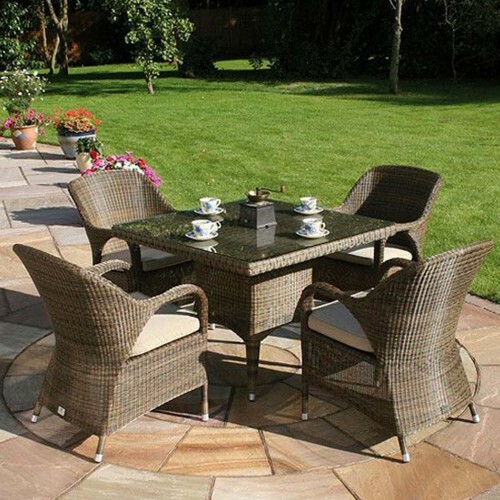 The multi-toned weave gives the finish a charming character that is wonderfully suited to garden settings but looks equally at home indoors. 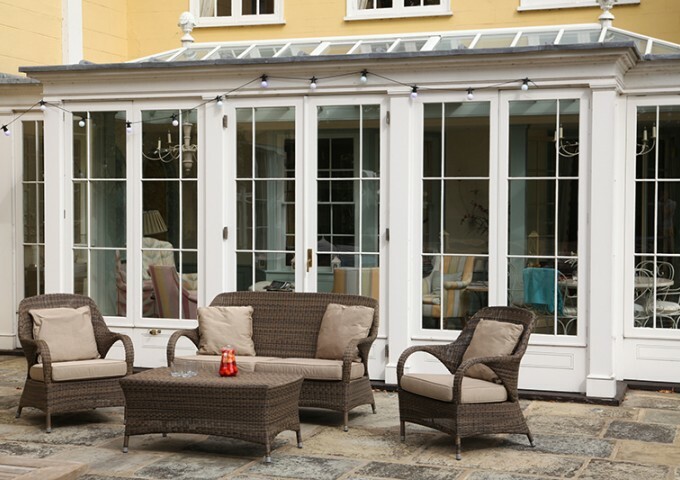 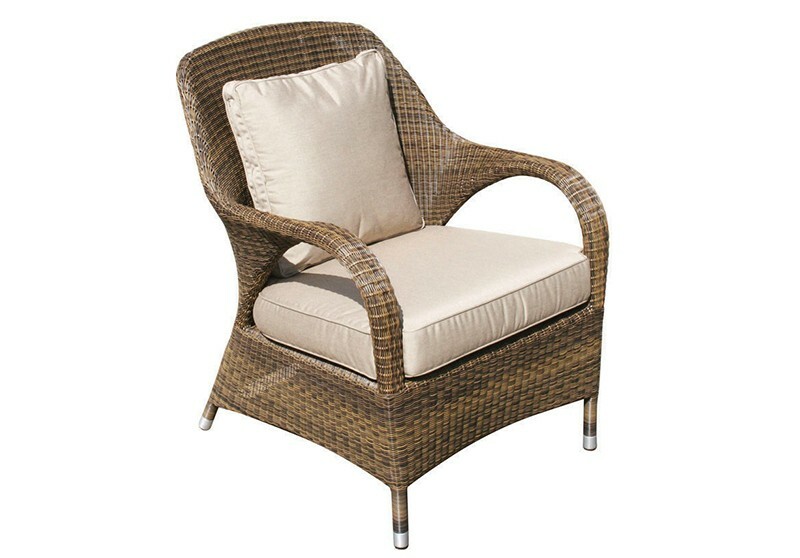 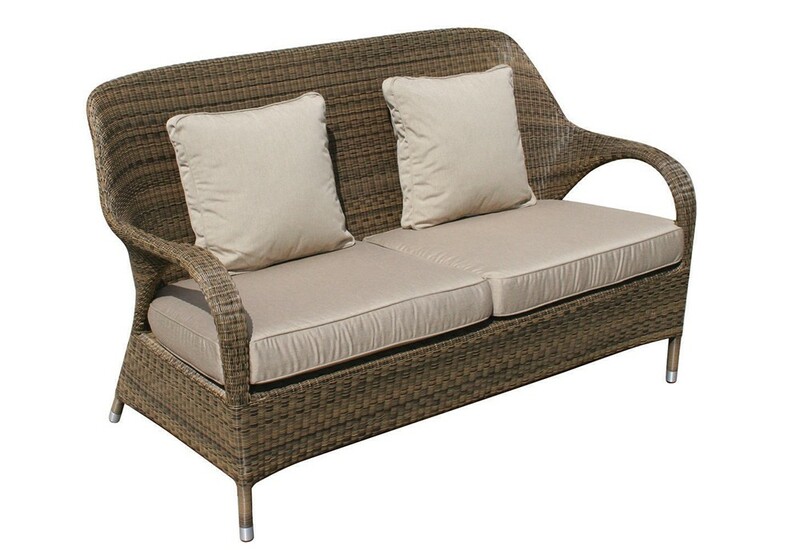 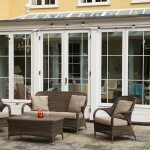 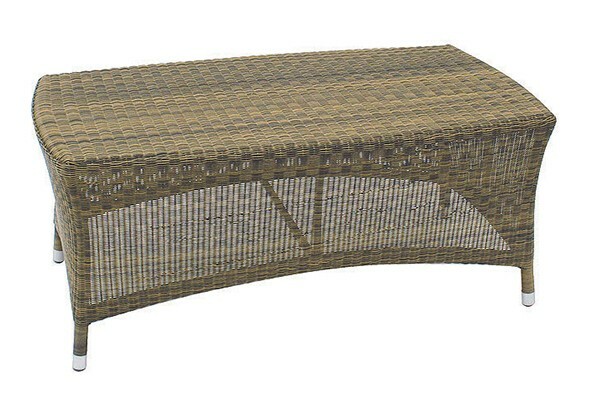 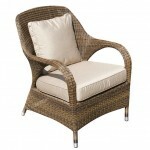 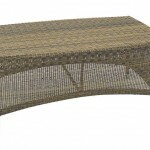 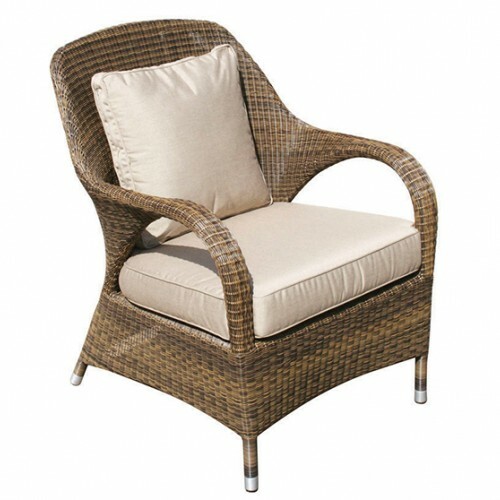 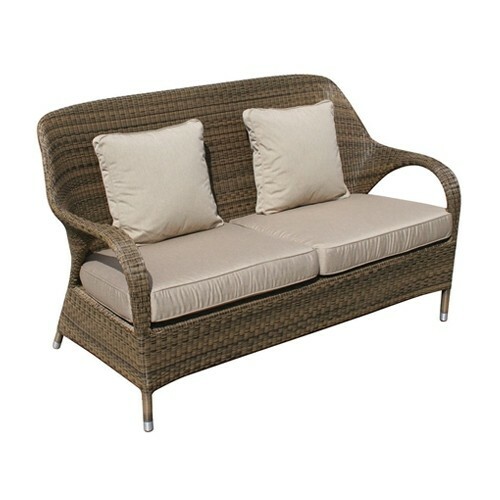 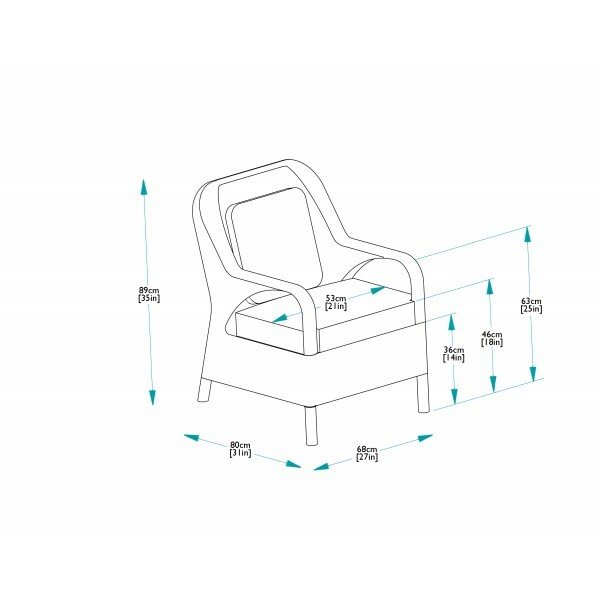 The synthetic rattan has been tightly woven around the aluminium frame and works to improve your comfort and support. 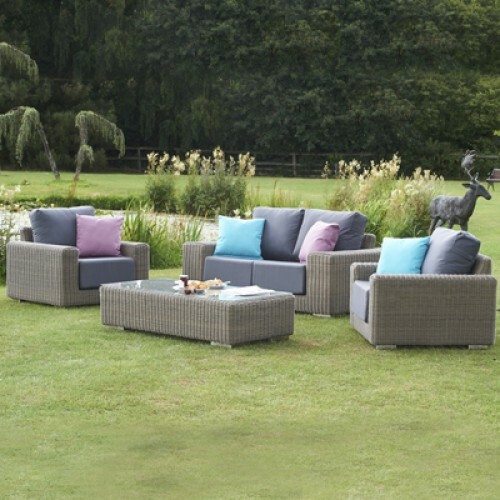 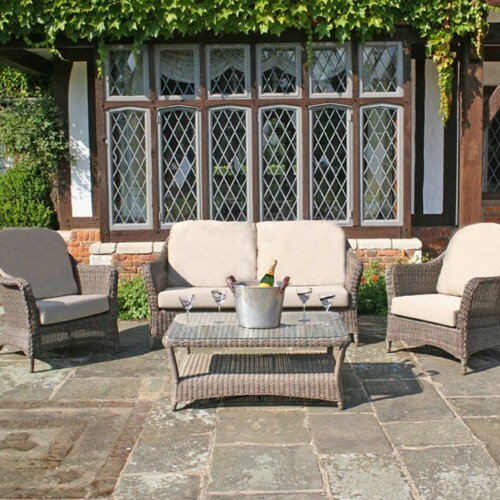 This set opens the door on outdoor living with a Sussex sofa, two Sussex armchairs and a Sussex coffee table, perfect for morning coffees or evening cocktails. 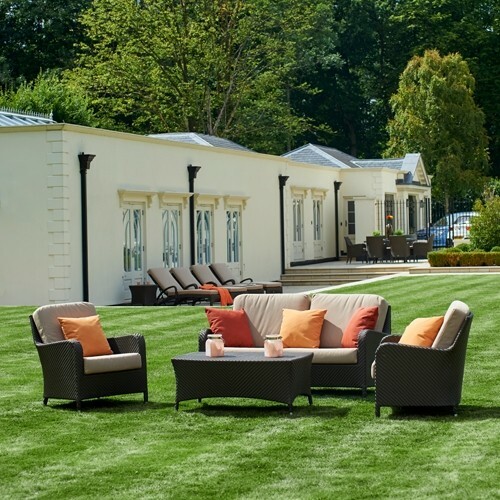 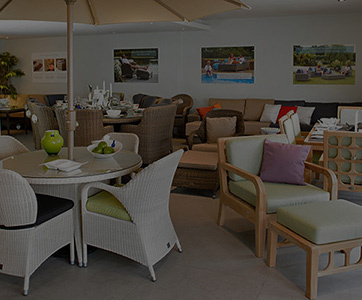 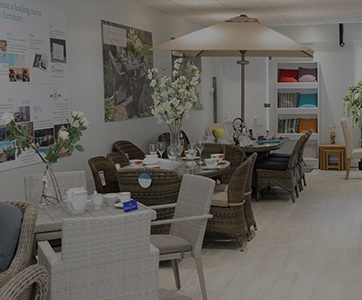 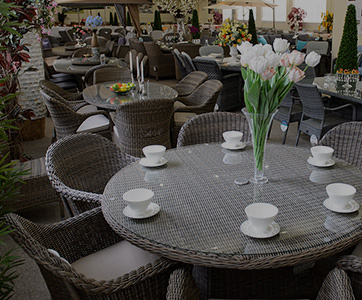 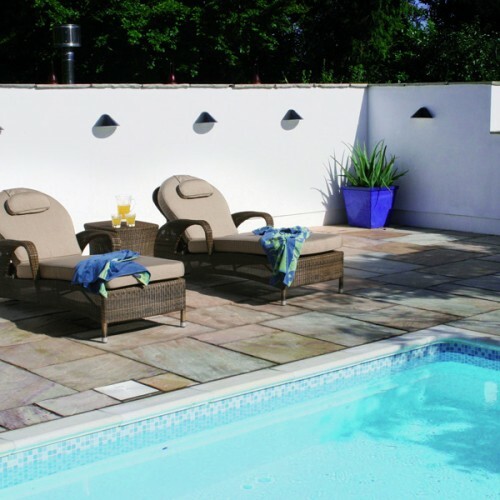 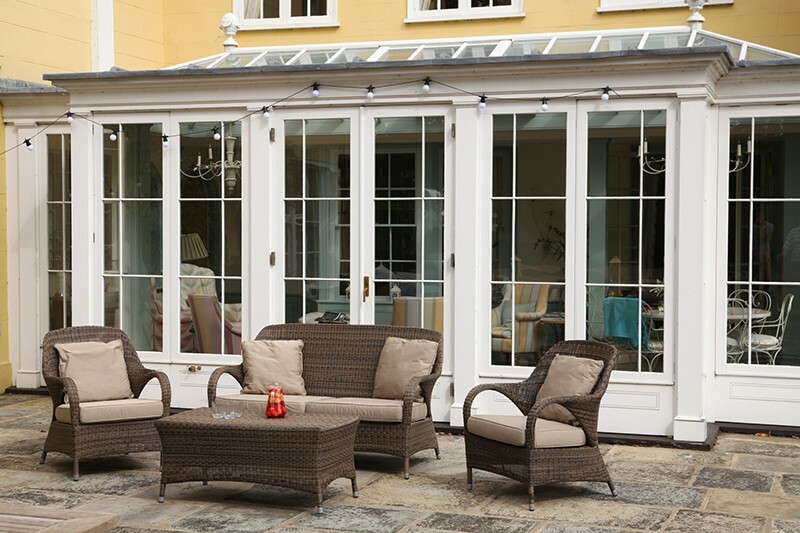 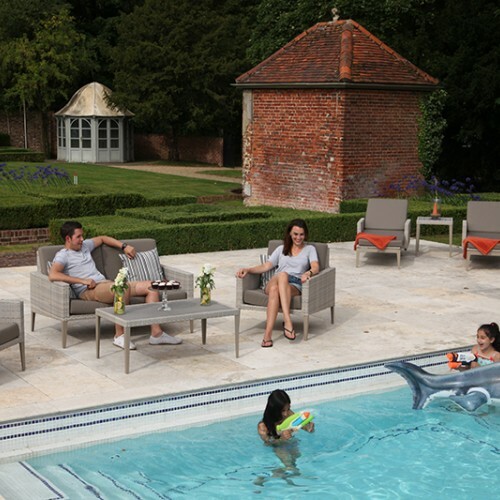 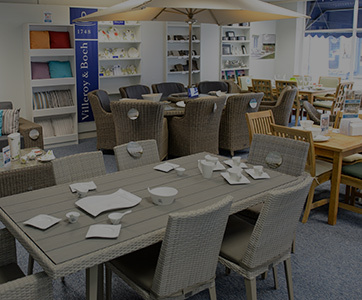 You can be assured that the Sussex garden furniture will continue to look first-rate, as the full range is constructed from weatherproof materials. 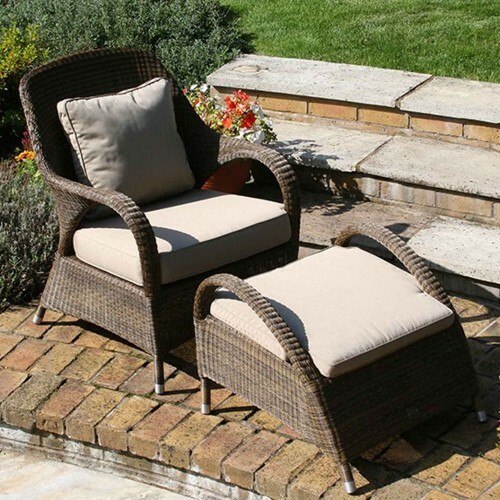 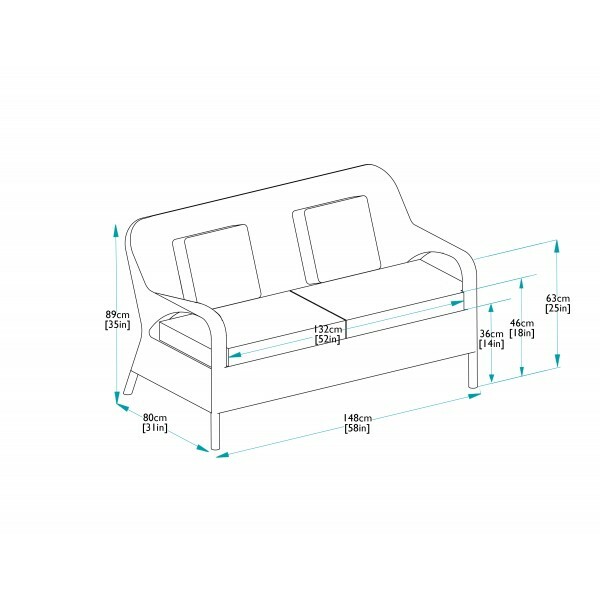 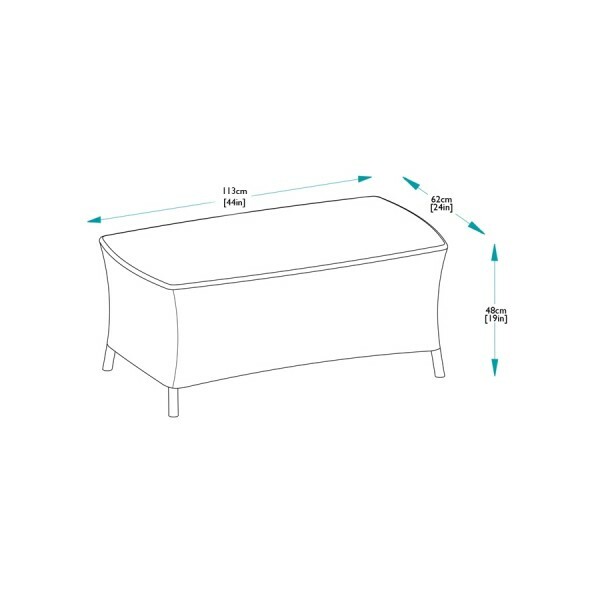 The inclusive standard beige cushions supplied provide that all important extra comfort and can also be upgraded to the fully waterproof variety.